So why should mowing your lawn be any different? The biggest reason to purchase a cordless electric mower is the convenience of not having to drag an extension cord around the yard. Battery-powered lawn mowers give you the freedom of gas mowers without the need to refuel. Cordless electric mowers use one of two types of batteries: lithium-ion batteries and lead-acid batteries. Each type produces a range of voltages, providing anywhere from 18 to 120 volts of power. The higher the voltage, the longer the motor will run and the more grass you can cut. Lithium-ion batteries generally store more energy and hold a longer charge than rechargeable lead-acid batteries, but lead-acid batteries are considered more resistant to corrosion. No matter which type you choose, cordless batteries hold their charge longer than ever. Some can be recharged up to 500 times. Cordless electric mowers give you a choice of a push-style mower or a self-propelled mower. A push-style cordless electric mower requires you to supply the power needed to move the mower in forward and reverse. Often, push mowers provide the more budget-conscious option in cordless mowers. A self-propelled cordless electric mower has powered rear wheels to drive the mower in a forward or reverse direction. As the operator, all you're doing is controlling the speed and direction that the mower is traveling in. This can lead to greater ease of use and less fatigue on your part. And what about those grass clippings? Cordless electric mowers give you two options for dealing with them: mulching and bagging. Choosing to mulch means that you'll be leaving your clippings on the ground after you mow. Many cordless mowers process clippings until they are finely chopped so that they decompose and enrich the soil with nutrients. You can also bag your clippings. Although many people use their cordless mowers without any attachments for a streamlined experience, some mowers can be fitted with a bag that will catch your clippings. Bagging is an easy way to keep your lawn looking neat and clean. 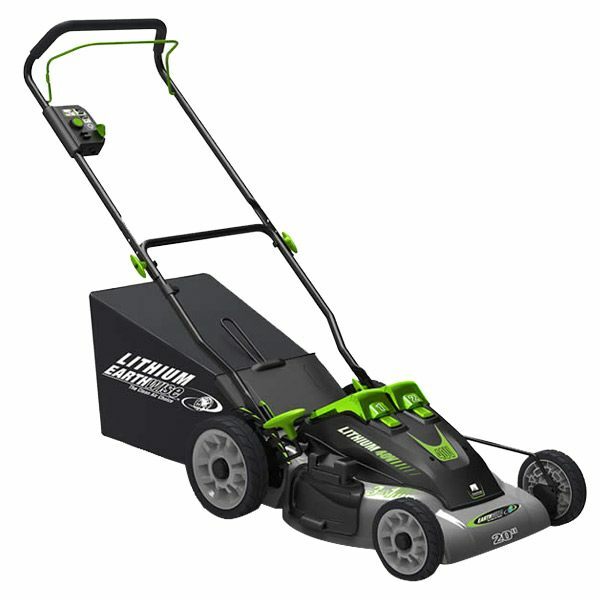 Cordless Lawn Mower Buyer's Guide.. Our Power Equipment Direct how-to library can help you learn about How to Fertilize Your Lawn, Vote for Your Favorite Brands in Mower Madness 2019 and Official Mower Madness Contest Rules.